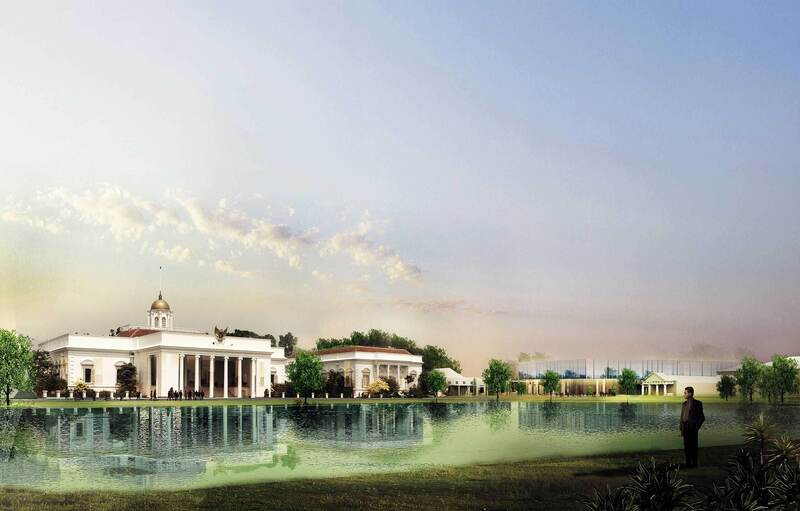 Balai Kirti (Presidential Gallery) is located at Istana Bogor one of six Presidential Palace in Indonesia. Kind’s winning design for Balai Kirti consists of 4000m2 gallery and library, hovering above existing museum (Bangunan Central) and car park. The idea is to replace the ground car park to underground and utilize the negative space between existing building to Gallery and Event Space. The design combines both zones that guarantee maximum security for the President and VVIP also flexibility for varying combinations of users. The façade of the Balai Kirti is divided based on the Main Palace datum, whilst the semi reflective glass visually merging the new contemporary building with the Botaincal Garden and the Existing Palace.